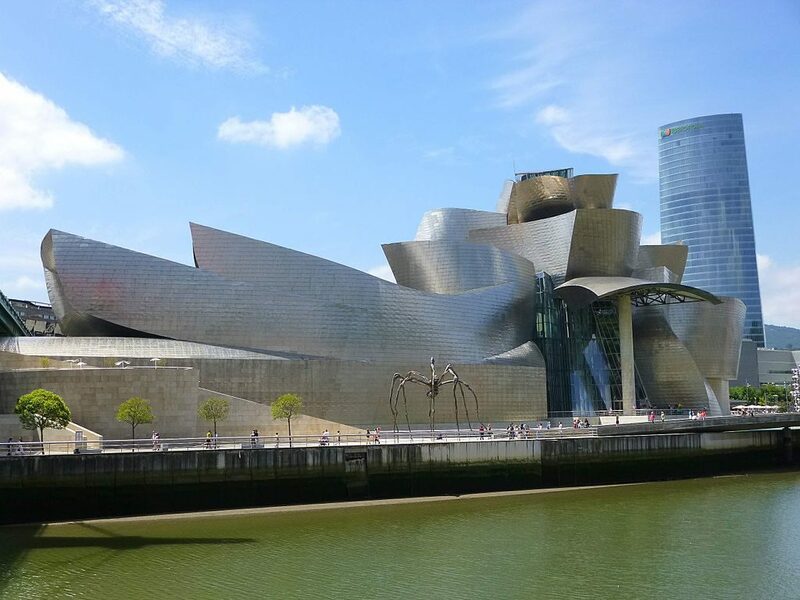 The Guggenheim Museum’s Bilbao branch is said to be Gehry’s finest masterpiece. The building transformed the sleepy city into one of Spain’s top destinations; it has a tremendous impact in the city that it became known as the “Bilbao effect” when innovative architecture give new life to old cities. The titanium panels are curved randomly and are aimed to catch and reflect light, which the New Yorker remarked to be similar to fish scales. 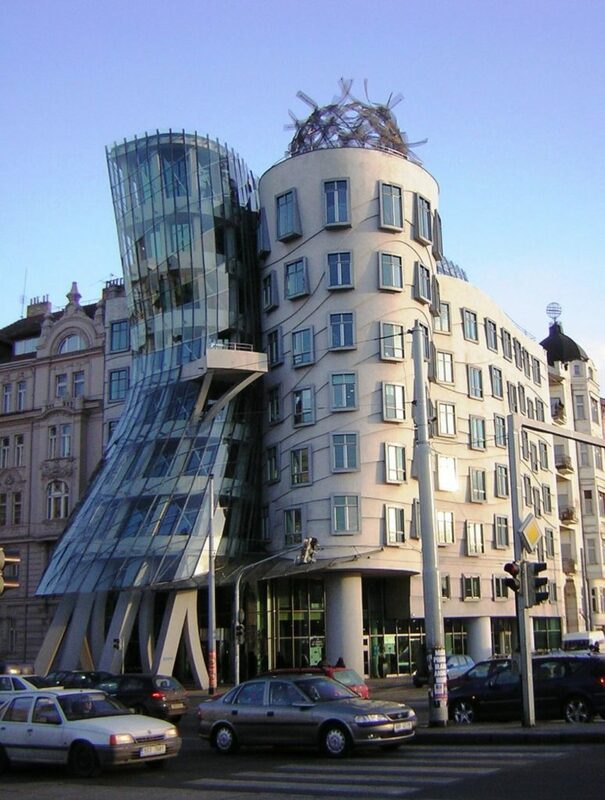 The Dancing House stands out amidst the art nouveau and baroque buildings of Prague. Designed in collaboration with Vlado Milunić, the building fuses a glass tower that is seemingly sucked into a concrete structure. The building resembles two people dancing, hence it’s nickname “Fred and Ginger” named after Fred Astaire and Ginger Rogers. The building’s conception was significant at the time since it was built a few years after communism fell; it was quite symbolic of an embrace towards modernity and globalisation. 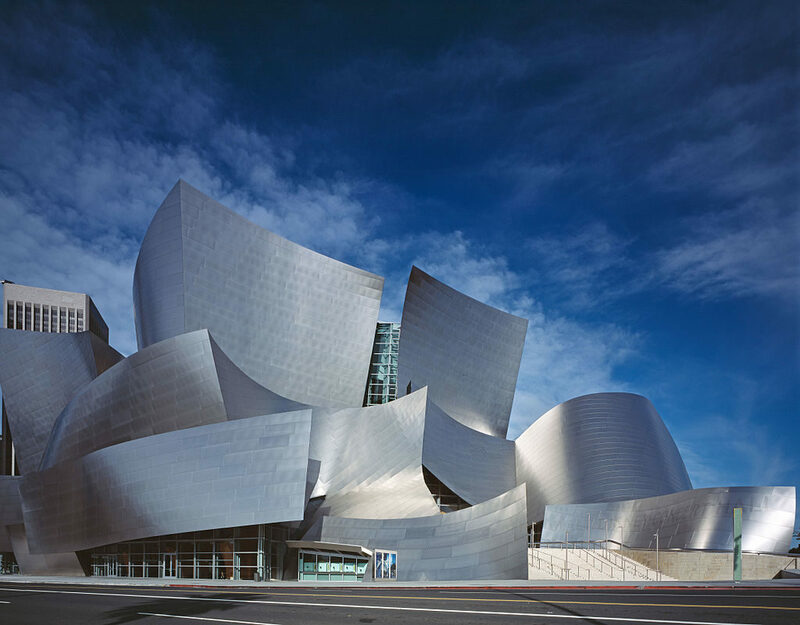 The flexible form of the Walt Disney Concert Hall is a metaphor for the movement of music. The metallic panels allow the building’s colour to shift throughout the day, since the panes have the ability to reflect light. 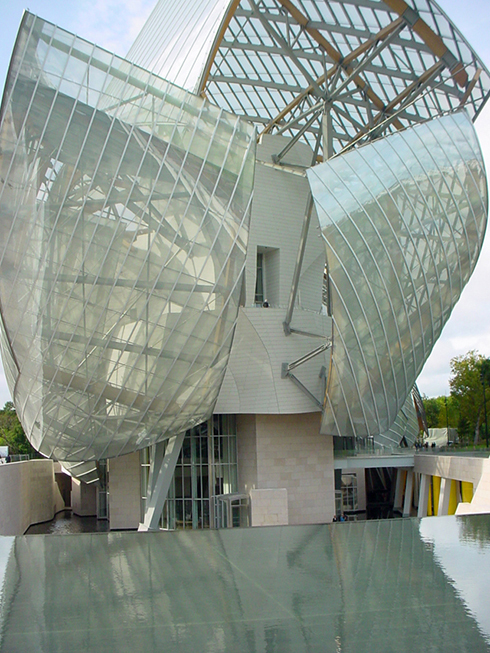 Although the building was originally planned to consist of stone, Gehry decided to use metal instead due to its malleable properties, giving the building more free-flowing contours. The lobby also features concrete and wooden structures enveloping on top of one another giving it a vortex-like effect similar to the outside. The museum consists of a group of blocks called “icebergs” – created from fibre-reinforced concrete – which are shielded by curving glass panels that look like sails. The sails give the building an illusion of lightness despite its massive size. It makes the building look alive and fluid despite the toughness of the materials. The building is a stark contrast to the historic buildings of Paris, but it is located at the farther edges of the city to avoid clashing with the traditional architecture. It is one of Gehry’s most innovative projects to date, utilising new software to allow the architects to work on its elaborate silhouette digitally. 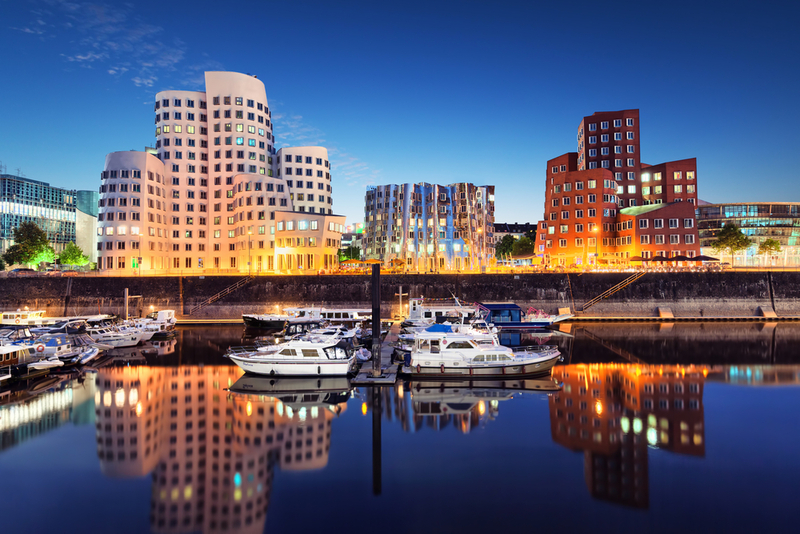 Neuer Zollhof is a complex located in the city’s port which consists of three buildings, each having its own distinct design. Despite having different materials and colours, the buildings are unified by Gehry’s signature deconstructivist approach to shape. The east building is the tallest and is composed of white, concrete cylindrical towers; the second one at the centre is coated in shiny stainless steel with a wave-like façade; whereas the third one is the most geometrical and is composed of red brick. The windows jut out of the buildings, giving their exteriors “texture” while maximising ventilation at the same time. Those who’d like to learn from one of the world’s most renowned architects, join his first online class in MasterClass.